G1 Guy, 24 Oct 2008Touch screen works great even with the plastic on that came with the phone. Thanks a lot for answering my question. Much appreciated. What about the screen being scratch resistant? Is it made of glass or plastic? Hey guys... I think this phone is cool it has a lot of good apps and features...but the only thing that boyhers that it doesn't read messages in different languages..for instance Arabic..when I receive a msg it shows me blank squares...And doesn't hav real player or media player...so does anyone hav an idea haw to get these things on it?? 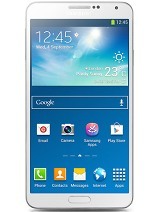 Does this phone not have a video camera??? Anonymous, 24 Oct 2008How responsive is the touch screen? I know its using a capacitive touch screen as opposed to t... moreTouch screen works great even with the plastic on that came with the phone. Wonder why they didn't allow sending files via Bluetooth, seems strange for the android platform. 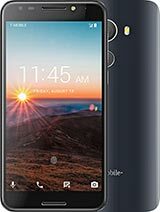 Has anyone tried a 16gb card with this phone yet? I know the 8gb cards work,but need more memory. Please post if you have. How responsive is the touch screen? I know its using a capacitive touch screen as opposed to the usual crappy resistive screens that WinMo normaly uses. Resistive screens require pressure and you cant just touch the screen lightly to do anything. Also, how does this screen work with a screen protector on it? Is the screen scratch resistant? Does a screen protector decrease the screen responsiveness? Or would you recommend not using one? 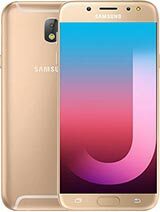 I know a lot of you out there are lucky enough to have this device already so would be very happy to hear your opinions on this. 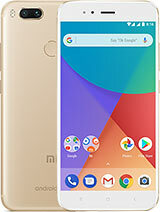 I love this phone.. i was not every interested in getting this phone before of the slide out keyboard.. but after playing wit it at the T-mobile store, i just had to get it... Touchscreen is VERY VERY responsive. ONLY thing i hate about it is the BATTERY!!!! I"m gettin very used to the Slide out keyboard..if you turn of anything that has to do with Wi-Fi, GPS, or any kind of functionality then i think the batter will last.. This phone is very good hardware, and has soo much potential. However, the battery life is suffering due to a few very fixable software issues. For people who purchased it on launch (like myself), it will be a bumpy ride, but in the end, you'll be very satisfied. This phone is a great idea. I was wondering how it would be stable if there are no restrictions/testing for software developers. The Iphone is still buggy without multitasking and a lot of restrictions on developers. Symbian uses certificates to approve software stability with Nokia phones. It's a good and decent solution for smartphone stability. Windows Mobile has no restrictions but users need to understand registry hacking to use it to its best flexibility. I think white is great color, am i not cool too. I just got my G1 on october 20, I like that...but the only thing bad is the battery gone faster, I have to charge every days....aahhh another thing the video from 'you tube" is not that clear like Iphone! Other things or applications are better then iphone. The alrm does not audible at all 0 if the charger is plugged in? George, 22 Oct 2008I have had my G1 3 days< I am having one annoying issue with the alarm feature. It seems that... moreThe alarm does go off but it is quieter if you compare it to the phone not being charged. GqGuy, 23 Oct 2008I received my phone on the 20th and I've playing with it ever since. My only problem is the ba... moreCheck your settings. If your GPS is on, or your sync is set up to be automatic, or your screen is very bright, your battery will need frequent recharge. I stay on the phone surfing the web, chatting, emailing and calling and stuff probably 6 hours a day and I need to recharge mine every evening. Anonymous, 23 Oct 2008quick question my g1 will come tomorrow when i use it, can i use the app store? i live in... moreI see no reason why you won't be able to use Android Market. So far all applications are free, quite a few as cool as it gets. According to the Android Community soon they will start uploading paid applications, too. I LOVE MY G1, 23 Oct 2008I love this phone so much!!!! the only thing i still dont know how to use is the GPS system. ... moreI think you go to Settings, then Security and Locations, and then touch, "Enable GPS satellites." You can go to Maps and use My Location. It works very good. Close to pin point accuracy. It's pretty cool, but it will kill the battery down.